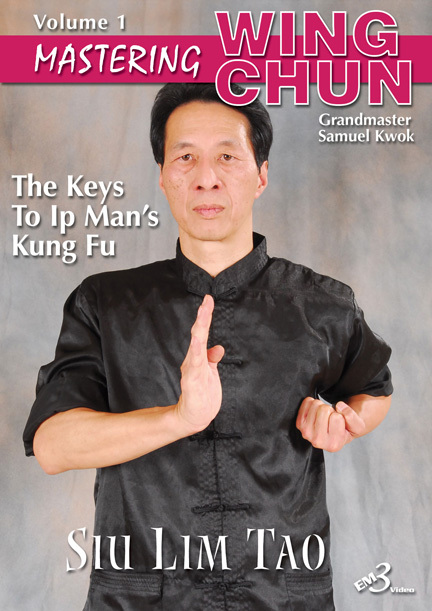 Chi Sao constitutes the most important training method in the Wing Chun system. 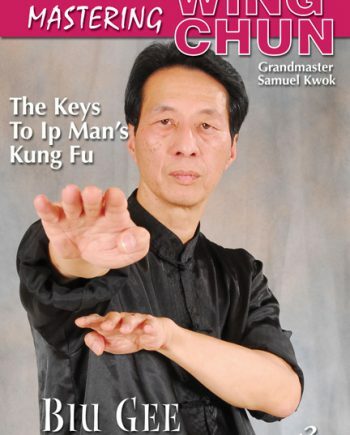 It is what Ip Man referred to as the genius of Wing Chun. 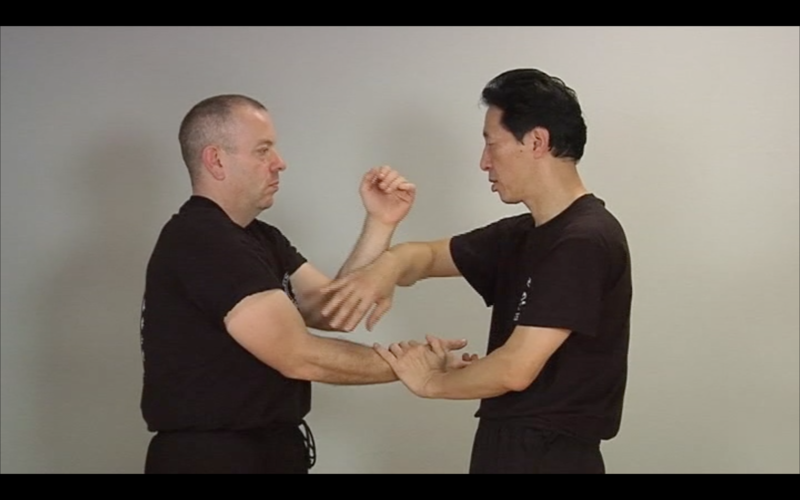 Training in Chi Sao will help you develop contact reflexes, which is the key to victory in a live combat situation. 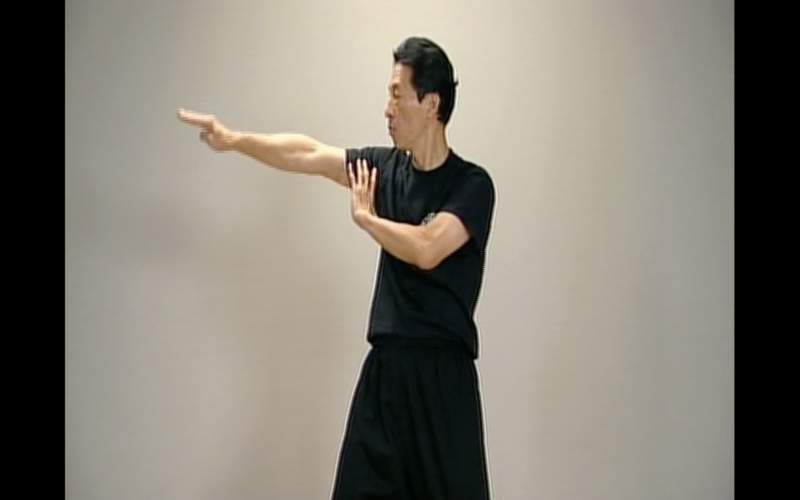 Chi Sao training develops close quarter coordination and close quarter focus; improves mobility, balance, timing, and accuracy, and creates ample targets and openings in which to attack and counter. All the original sections are demonstrated clearly from start to finish, in different camera angles to facilitate easy and accurate learning. There also is a general commentary and description of each segment and its most common training mistakes to improve not only your technique, but your level of understanding. 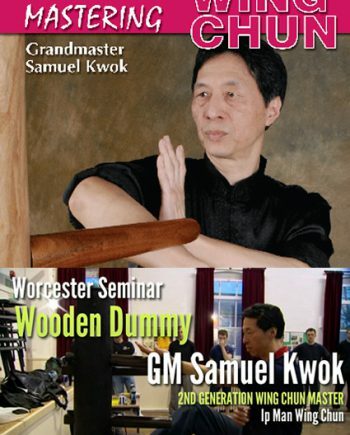 In addition to teaching the skills on the wooden dummy, Grandmaster Samuel Kwok demonstrates the applications of the wooden dummy training techniques on a partner, giving you an excellent idea of the combat effectiveness of each movement. 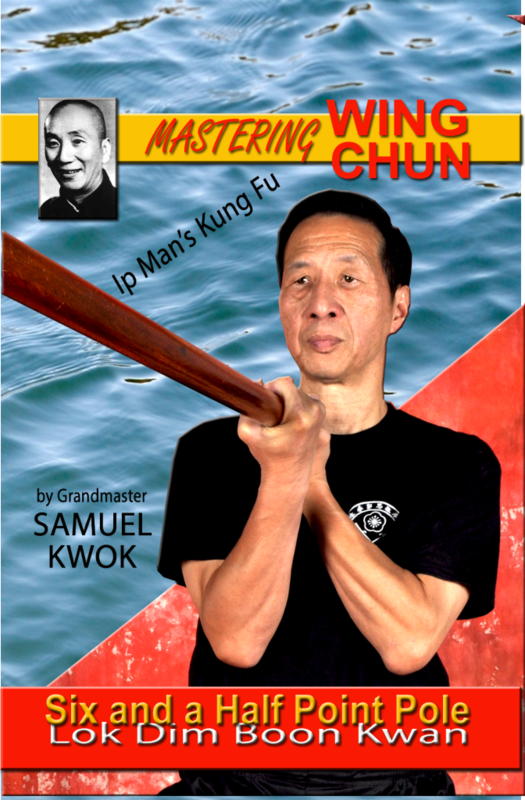 The Wing Chun wooden training dummy is a training device designed to correct technique and structure as well as increase power, speed, accuracy, and conditioning. 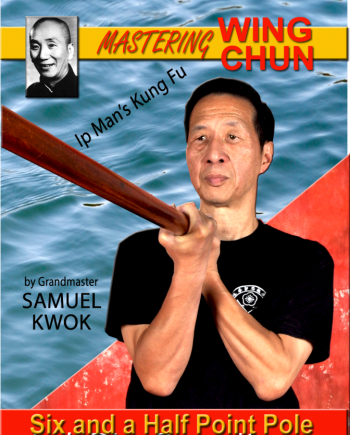 You’ll learn the true Original Ip Man’s Wing Chun Wooden Dummy form from Grandmaster Samuel Kwok. This video is a complete step-by-step guide to the Wooden Dummy hands techniques, legs application, and footwork. 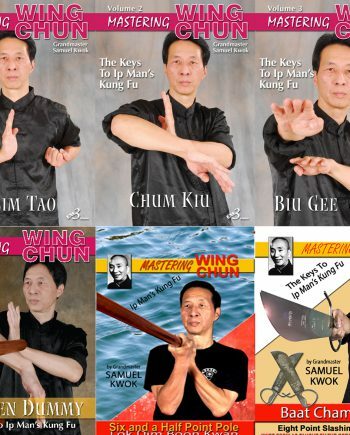 Leung Yee Tai exchanged Wing Chun techniques in exchange for learning the pole forms from Wong Wah Bo to gain stronger wrist and help make his Biu Gee stronger. 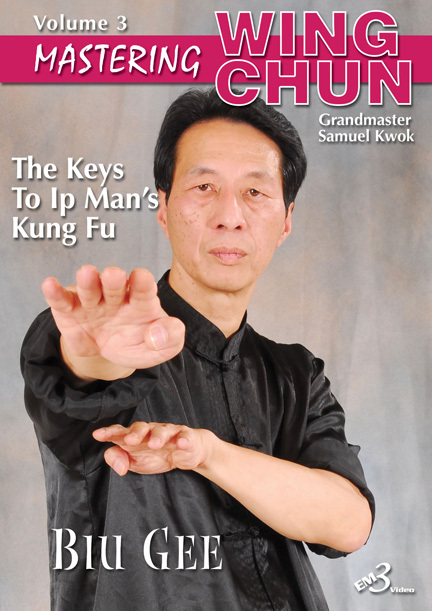 This explains why the footwork is different in the rest of the Wing Chun system. When Leung Jan learned Wing Chun from Leung Yee Tai and Wong Wah Bo it was quite unorganized and did not fit the Wing Chun system. Being a scholar and a doctor he added structure to the curriculum and created an order of progression. 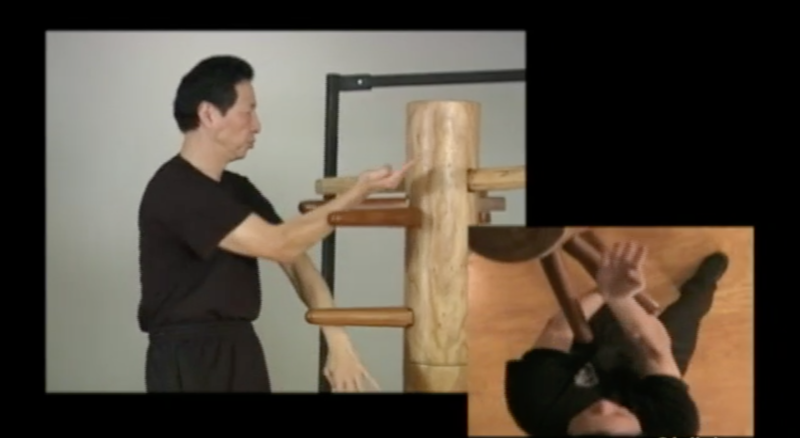 Breakdown of the Six and a Half Point Pole techniques: Kom Kwan (Covering Pole), Biu Kwan (Striking Pole), Til Kwan (Descending Pole), Dan Kwan (Ascending Pole), Sheung Lan Kwan (Stirring the Water Pole). This weapon provides training in mobility and further enhances precision in movement. Practicing the knives is comparable to practicing the pole and dummy techniques. The principle is to overcome the opponent with fast, simple, straight forward strikes. The horse stance must be extremely mobile, agile and the energy forward requires total body commitment and coordination . 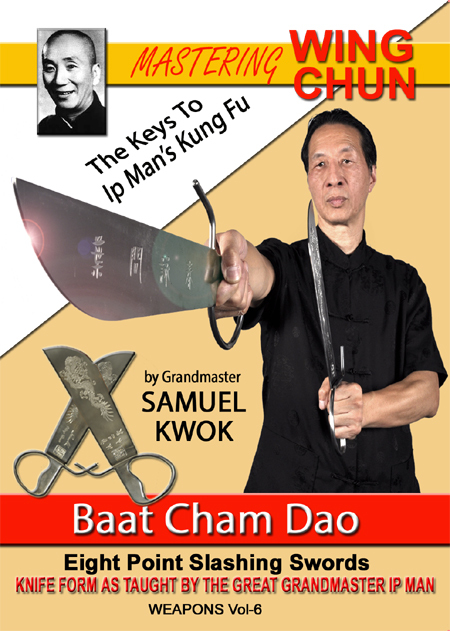 The weapon enhances the application and exertion of qi with the wrist and forearms, which improves your skills in hand combat. Because the weapons extend your energy range, you ability in Chi Sao and combat will be vastly improved. 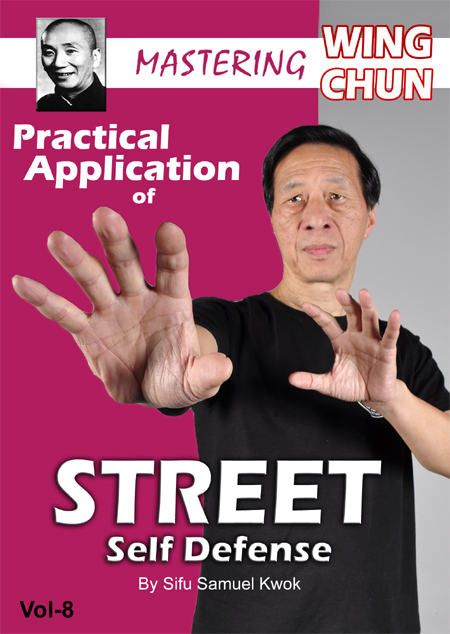 In “Practical Application of Street Self Defense” Sifu Kwok demonstrates a simplified version designed for all ages. 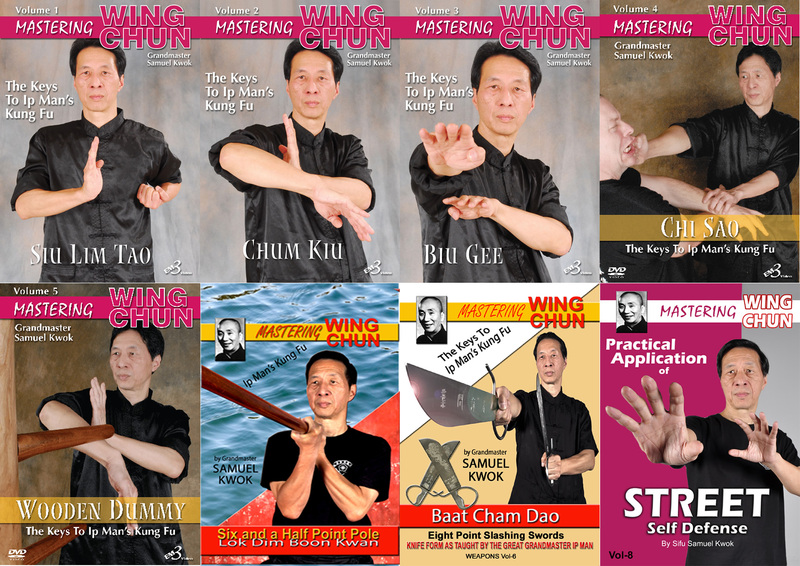 Wing Chun originally invented by a small women teaches us how to misdirect our opponents power and turn it against them. 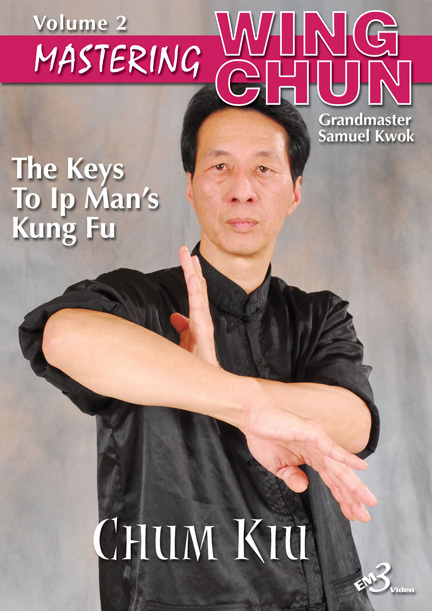 Grandmaster Kwok simplifies those techniques. 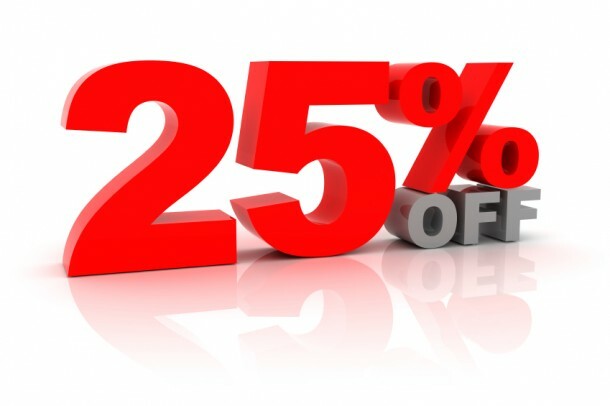 Learn how to avoid bad situations on the street by using simple and effective strategies. One step techniques proven to defeat your opponent and allow you to escape.